In November 17’, Of One Mind hosted its first ever showcase event in Glasgow, hosted at the stunning Crossbasket Castle, part of the unrivalled ICMI Hotel Collection. We were supported by Parks Motor Group who provided the ‘WOW’ with a selection of Mclaren, Bentley, Maserati and BMW. 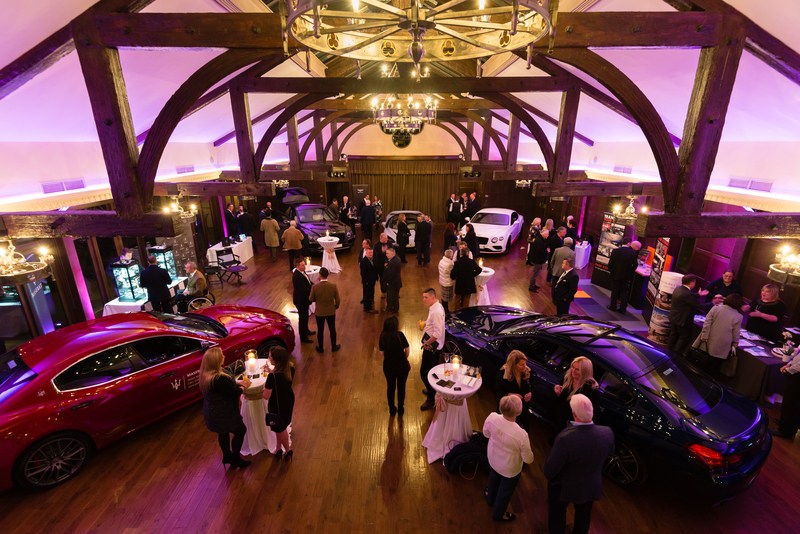 Attendees were able to mingle around over £1m of cars, sipping champagne and making new connections. Also in attendance were The Edinburgh Watch Company, Private Concierge Scotland, Garage Interior Design, Silversea Cruises, Timeless Candles and Daffys Gin. All our attendees and sponsors were able to relax and network in stunning surroundings with all the attendees confirming new contacts had been made, and new business in the pipeline. Attendees enjoyed that Of One Mind had brought such a high calibre of guests along which for them put an unrivalled collection of potential connections all in the one place, at the one time. Something, that would have taken weeks and months to do had they looked to make these new connections individually. Of One Mind does exactly that, we put people in front of people. We fill the most beautiful locations with the best showcasing businesses and target an audience that guarantees the event isn’t just another networking event, but an event where customers can meet new clients and see a tangible return for their investment.